Supply chain transparency is a hot button issue right now, largely because of ethical and reputational concern. From human trafficking and war to environmental sustainability, there’s a lot at stake in the movement of goods and materials around the globe. Assuming everything is fine until it’s proven to be otherwise is too great a risk to take. Just ask Appleand Patagonia. Being intimately acquainted with your company’s supply chain, however, has long had benefits beyond making the world a better, kinder place. It can also save you time and money. 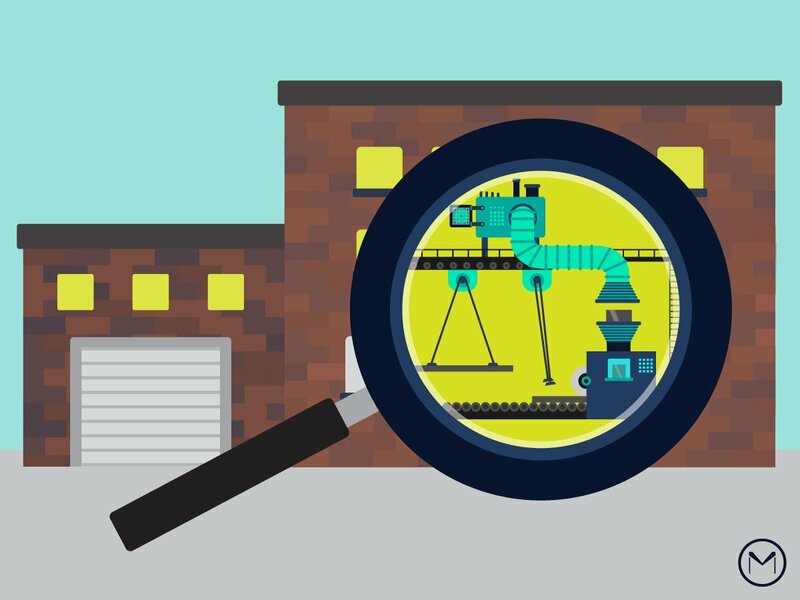 When it comes to supply chains, what you can see determines what you can get. Don’t forego quality, proper risk assessment or the Golden Rule. Here’s how to get a truly transparent supply chain. Global supply chains have some obvious advantages. Labor can be cheaper and being close to a particular overseas customer base has real value. For a long time, U.S. manufacturers have been able to justify outsourcing their supply chains. Those global supply chains, however, have been anything but transparent. Lack of infrastructure, dodgy regulatory standards, lagging tech and communication barriers can all make getting your goods a murky undertaking. Add to that murkiness, a well-timed strike, coup or natural disaster, and all of a sudden that killer price per part is just a number on a worthless RFQ. Getting your CNC machined parts at basement prices only matters if you actually end up with those parts on time. A supply chain in the U.S., on the other hand, grants almost-instant visibility. While you may not personally visit the shop CNC machining your parts, you can — for the most part — rest easy. A human trafficking victim probably isn’t staffing a plasma cutter in lower Michigan. Also, the winnowing brought about by the Great Recession means most of the U.S. shops still standing have high quality and efficiency standards. First article inspections and test parts are easy to come by when the shop making your parts is in the same time zone. It’s supply chain transparency you can literally touch, taste, smell and see. A U.S.-based supply chain is also more trackable thanks to greater overall tech adoption. If you can track materials and your CNC machined parts when they’re out for delivery, you know whether or not those shipments are on time. If they’re not, you can make adjustments. Manufacturing is often a game of well-timed reactions to crummy realities. When you can see those crummy realities coming instead of being blindsided when they arrive, you can respond in a meaningful, time- and money-saving way. Settling for an opaque or semi-transparent supply chain is flirting with reputational and financial disaster. Tech and the ever-burgeoning Industrial Internet of Things can allow for real-time visibility into every step of your supply chain. You just have to know where to get it. If you need a more visible and U.S.-based supply chain, MakeTime can help.